He may look cute, but a couple dozen of his friends aren’t! I don’t know about you, but this time of year becomes a fruit fly hang out in my apartment. I think it’s partially related to the lack of A/C. My building was built in the 1920s so I’m not even sure they knew what air conditioning was back then besides sitting on a block of ice. So no central air for me. We do have window units but only use them when we’re in a room, so heat and humidity builds. 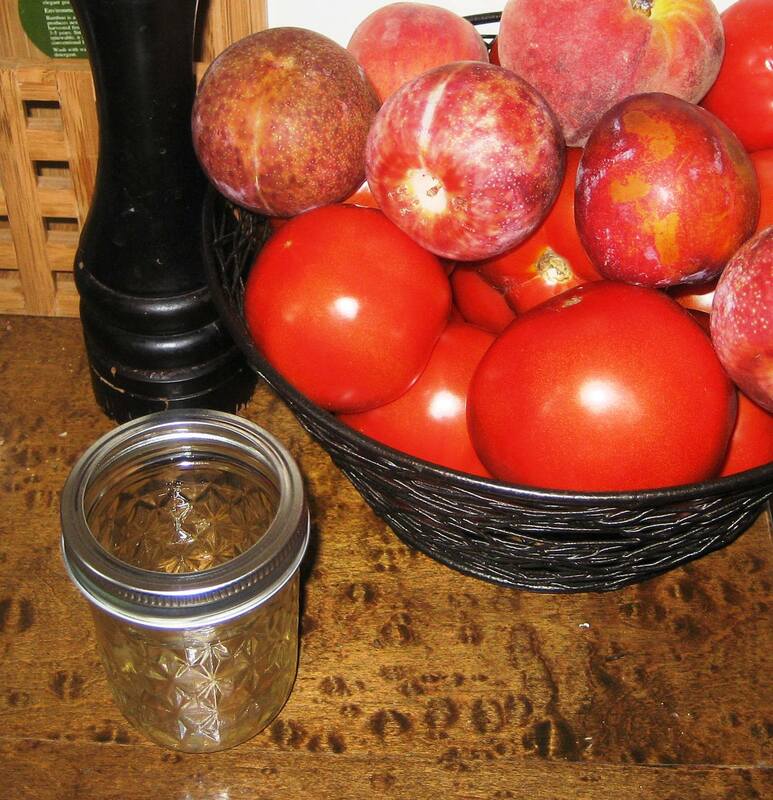 I store my fruit (like tomatoes and peaches) on the counter; I don’t want to destroy their flavor by refrigerating. Thus heat, humidity and ripe produce welcomes fruit flies. Luckily, over the years of living in apartments I’ve discovered a pretty foolproof plan of attack. To eliminate these tiny foes, you only need two things, probably that already exist in your kitchen. Or at least you should have them: cider vinegar and dish soap. Plus a small jar or container to put the mix in. 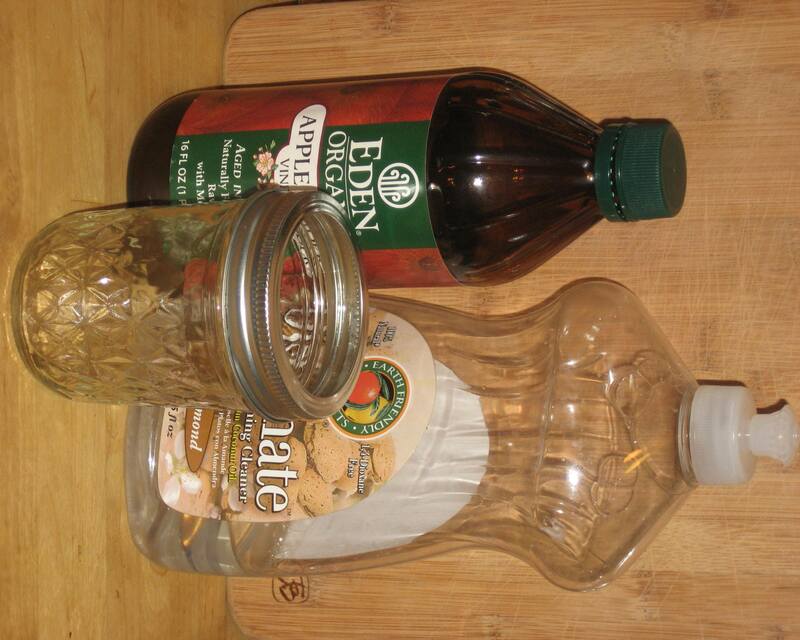 Pour some cider vinegar into your jar. 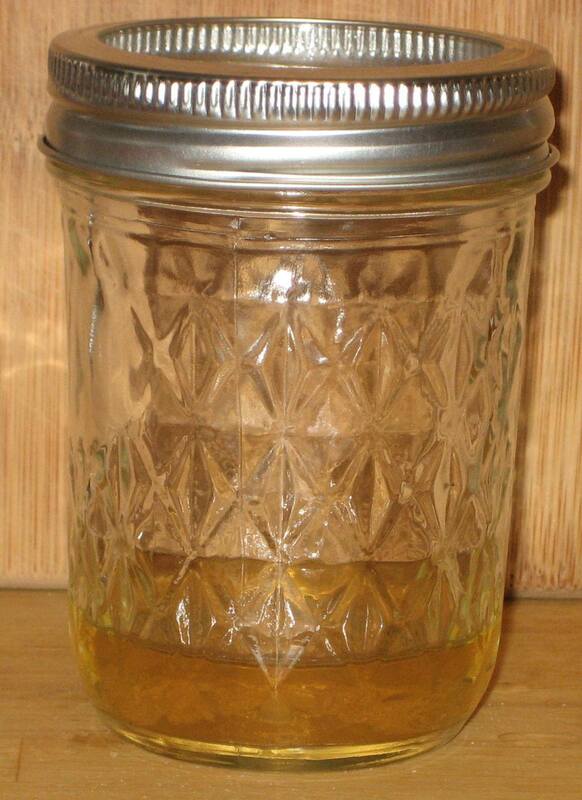 You want to fill your jar with about half an inch of vinegar, so the exact amount depends on your container. Cider Vinegar works best because it’s sweeter and attracts the fruit flies faster. Next add a few drops of dish soap to your vinegar. The dish soap will float on top of the vinegar. 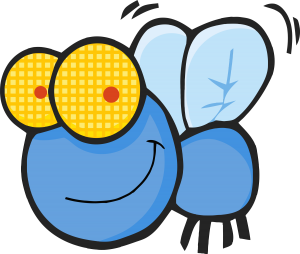 Fruit flies will enter your jar, enticed by the cider vinegar, but once the hit the surface the soap will coat their wings, leaving them unable to fly out. Eventually they’ll drown (happily) in the cider vinegar. I mean I guess it’s a bit cruel, but wouldn’t you rather meet your end by drowning in a vat of chocolate rather than another cause? And you’re done. 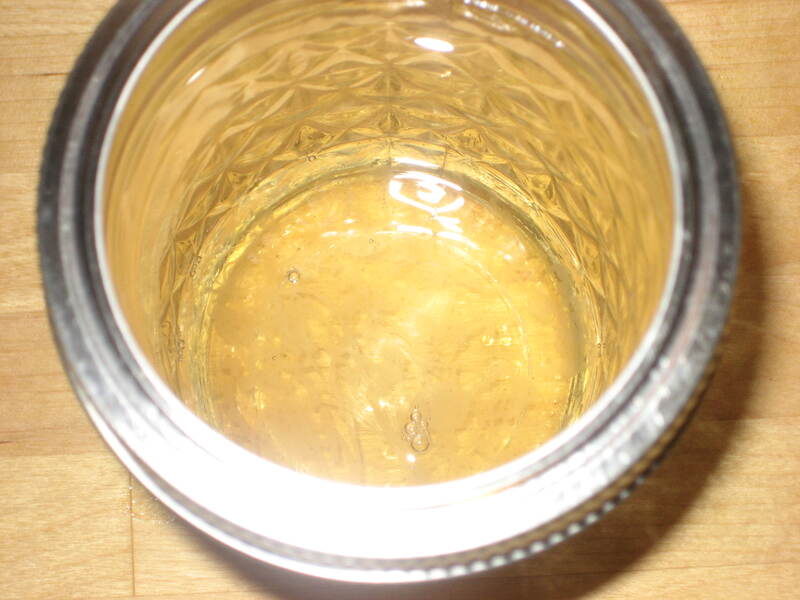 Place the jar near your ripe fruit and within a day or so, all fruit flies will be gone!